Designed to provide delicious variety to your pet's well-balanced diet, our culinary inspired recipes are individually created so you can celebrate meal time with your pet. As an author & chef, Katie Lee has created a successful career turning nutritious ingredients into amazing culinary creations. As a pet mom, her passion for delicious, nutritious meals extends to her dog, Gus. 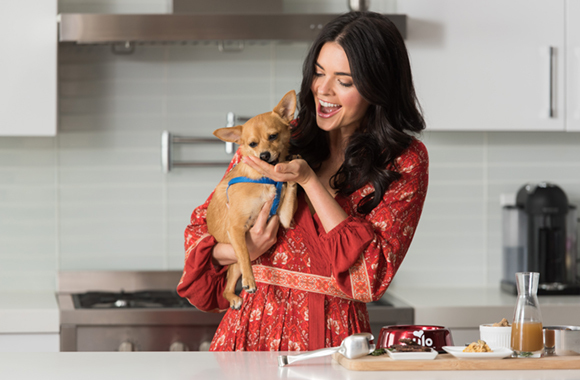 Watch Katie create a mouthwatering, well-balanced dish for her pooch.